It’s far too early for us to see a lot of changes in the Walt Disney Company now that the merger with Fox is complete, it’s not even lunchtime in Burbank yet. However, one place that has already seen a significant change now that the merger is finally done is the Walt Disney Company website. The company’s homepage now has a brand new banner which, in addition to giving us expected character from the likes of Star Wars and Pixar, now includes images of Deadpool, The Simpsons, and Avatar among others. Check it out. Of the 14 images that make up the new homepage banner, fully half of them are new to The Walt Disney Company as of this morning. The Shape of Water was a former Best Picture winner distributed by Fox Searchlight. While Disney had previously made a deal with James Cameron to include the world of Avatar in the company’s theme parks, they only own the rights to the films as of now. The Simpsons come courtesy of 20th Century Fox Television. The little monkey is likely a reference to the National Geographic cable channel that is now part of Disney. The cricket player is probably there because Disney now owns Star India, a conglomerate of Indian cable channels that spotlight the popular sport. Then you have Deadpool representing 20th Century Fox’s film arm, and Donald Glover, who’s show Atlanta is a hit on the FX cable channel. While the website change doesn’t necessarily mean anything on its own, it would certainly seem to be an indication of what Disney finds most important of its new acquisitions. 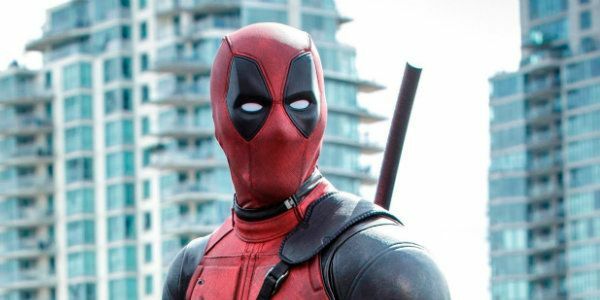 There’d be no interest in drawing attention to Deadpool if there were no plans to make new movies under the Disney regime. We know that Avatar is going to continue forward with new films, a couple of them are in production right now, and The Simpsons is showing no sign of ever stopping. It may make new episodes until the heat death of the universe. National Geographic content is going to be quite important to Disney going forward. The cable channel’s library is set to be a major pillar of the content available when Disney+ launches later this year. Seeing all these popular characters, from Deadpool to Elsa to Bart Simpson, on the same homepage is almost surreal. All of these popular characters now exist in one place. If nothing else, it opens up near endless possibilities for Disney’s theme park business. The number of new attractions that could be created to sit alongside the existing ones seems almost limitless. Over the next several months and years we’ll begin to see how this massive pop culture juggernaut actually moves forward with all these properties, but the work has already begun.